Hello! Hello! 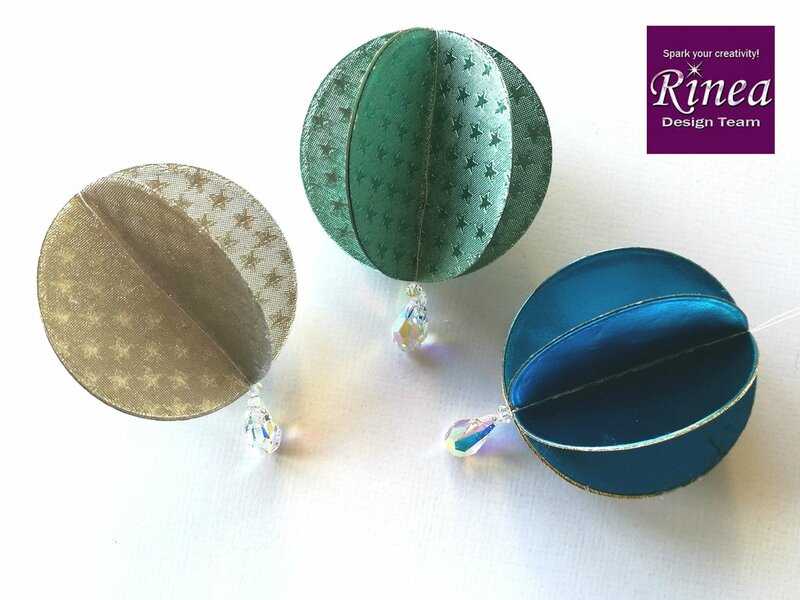 It's Clair here today, and I'm excited to show off the 'Holiday Hanging Ornaments' that I've been busy making with my Rinea Foiled Paper. I am so excited to see my twinkly lights reflected in the surface of these beautiful coloured foils! I've chosen to work with a selection of colours that will work well with my existing decorations, but there are so many colours to choose from that I am sure there's something suitable for everyone. Visit Rinea to see the tutorial for these Holiday Hanging Ornaments.